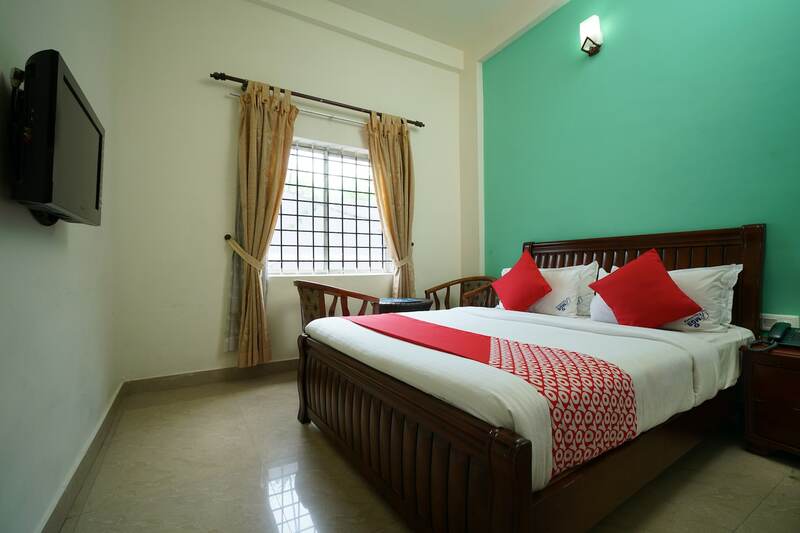 MGS Residency artistically combines classic decor, modern amenities and simplicity to provide cosy and comfortable rooms for an enjoyable stay. The rooms are designed in light tones, with a single vivid-coloured statement wall, and plenty of natural light coming inside. The curtains are long and flowing, in neutral shades with delicate patterns, complementing the look of the room. There is seating space provided in the rooms, for the convenience of guests. The property is dotted with large paintings in antique wooden frames, enhancing the artsy ambiance. MGS Residency offers power backup, conference room, CCTV camera security and a parking facility. There is an in-house restaurant where guests can relish fresh and tasty food without having to leave the property.